artLIVE! brought fashion and art together in a philanthropic affair to benefit Las Vegas Fashion Council and 18b The Las Vegas Arts District on Thursday, May 12, 2016, 5:30-8:30 p.m. at The Smith Center for the Performing Arts Reynolds Hall Grand Lobby. At this one-of-a-kind event, local artists and fashion designers were also given a platform to exhibit their work. The evening event included various live artistic presentations, live and silent auctions, a fashion show, music, dance performances, food and beverage as well as signature art presentations brought together by several local artists and fashion designers. Making their triumphant return this year are the iconic and unique Madison Mannequins. Hand-selected local artists created 10 one-of-a-kind masterpieces, which were displayed and auctioned off at artLIVE!. The event also recognized visionaries in Art and Fashion. The 2016 recipients were Patrick Duffy for the Arts and Saks Fifth Avenue in Fashion. The Las Vegas Fashion Council was thrilled to support Junior League of Las Vegas for their Fashion Forward – Passport to Fashion event. 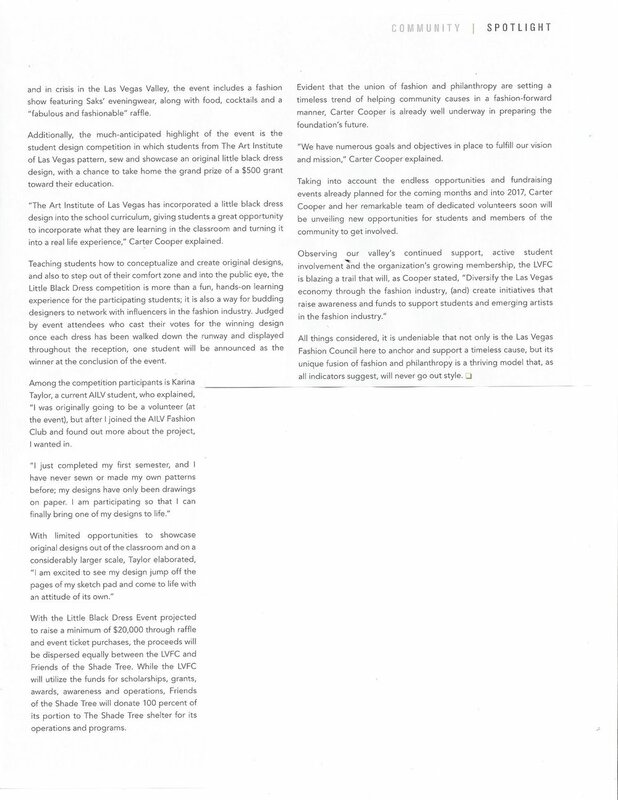 The LVFC donated a $500 grant to the first place winner of the competition and an opportunity for the top 10 designers to be highlighted in additional Las Vegas Fashion Council events. 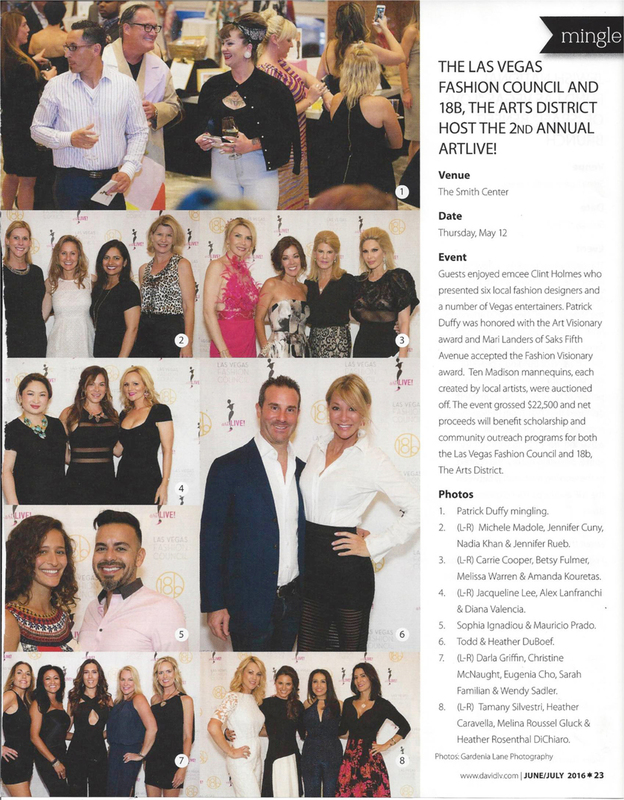 Las Vegas Fashion Council presents artLIVE! 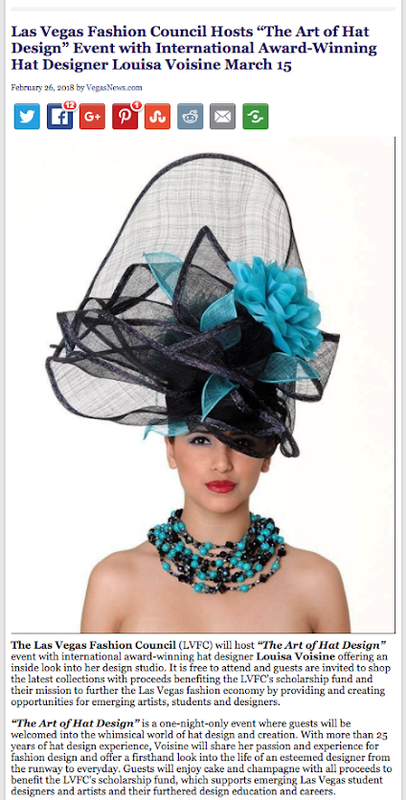 2016 to benefit the Las Vegas Fashion Council and 18b, the Las Vegas Arts District.